STREAM OR DOWNLOAD NOW: fanlink.to/allpeople FACEBOOK: www.facebook.com/Pillowtalkmusic INSTAGRAM: www.instagram.com/pillowtalkmusic/ PillowTalk valiantly returns with their second album, “All People” a cumulation of twelve fine-tuned songs written and compiled over the lifespan of the band whilst traveling around the world creating in remote studios with friends and fellow musicians. With its new label, PillowTalk Music, taking stride and the release of two singles from their new album, “Hold Me Down” and “Been A Long Time,” the band is quickly gaining notice from press, festivals, bookers and music connoisseurs alike. 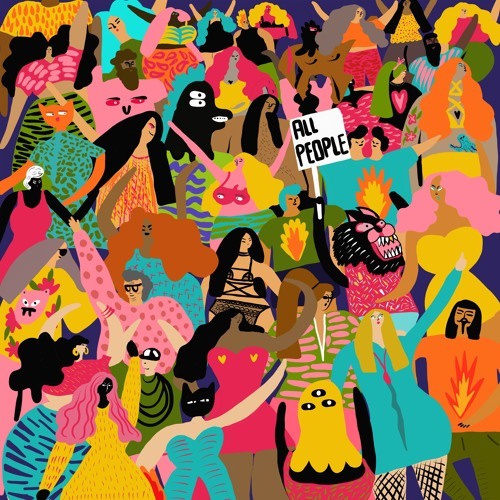 The album’s lead song, “All People” focuses on a message of peace and political awareness, prompting global equality for all people regardless of race, gender, sexual orientation, religious beliefs or creed. You can always find yourself mesmerized by PillowTalk’s catchy love songs, disco anthems, futuristic RNB sounds and indie dance influences. In their latest album, PillowTalk explores a deeper, more organic sound by incorporating more live bass, guitars, horns, percussions and background vocalists to spice up the band’s auditory palette. “All People” features a plethora of experienced and seasoned session players, including some longtime friends and new undiscovered talents. PillowTalk welcomes back Derrick Boyd, a.k.a. Tone Of Arc, on guitar and bass; Greg Paulus on trumpet, and introduces the lovely Hannah Noelle, on background vocals.